Photography is something I’ve always wanted to explore. I find myself digging deep into photographs to find the larger meaning inside them. In efforts to draw inspiration from photography, I decided to take a photo once a month (12), on the same day of each month (27) and at the same location. My hope in taking these photographs is to continue to find the beauty of nature, seasons and New York City in my own, unique way. This picture was taken on my way to work at Madison Square Garden (23rd Street and Broadway) at about 9:50AM, January 27. 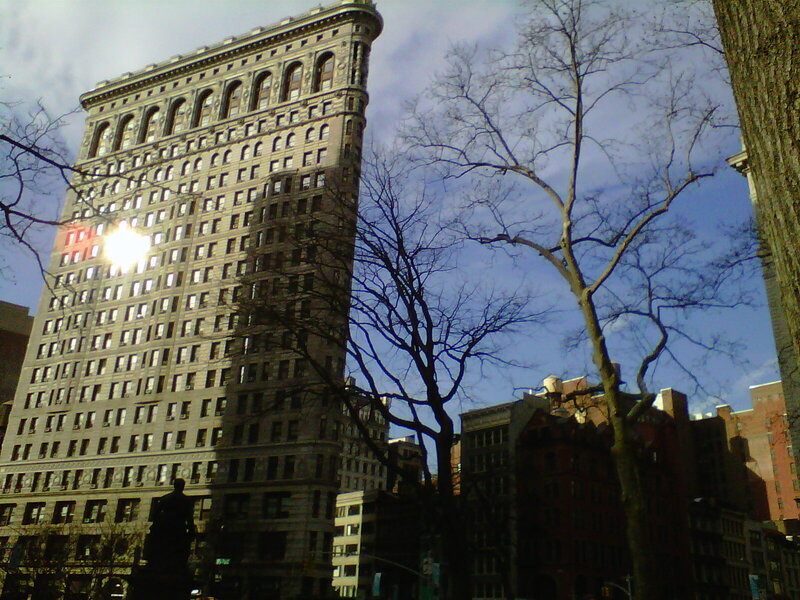 This entry was posted in Art, Beauty, Environment, Nature, Photo Project and tagged Flatiron Building, Inspiration, Madison Square Garden, NYC, photographs by adlevine. Bookmark the permalink.